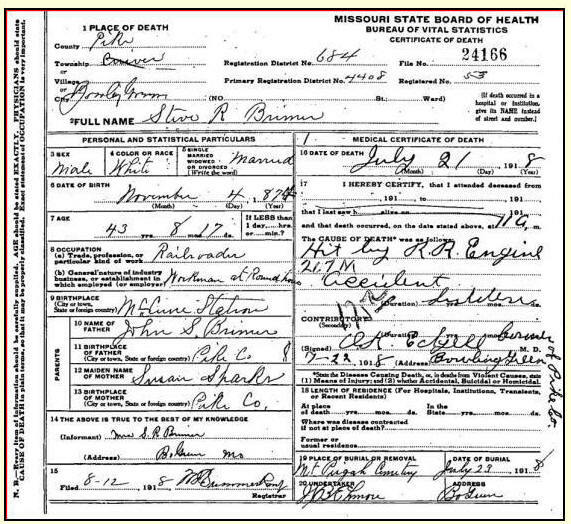 1874 Nov 4: Stephen (Steve) R. Brimer born in McCune Station, Pike County MO. 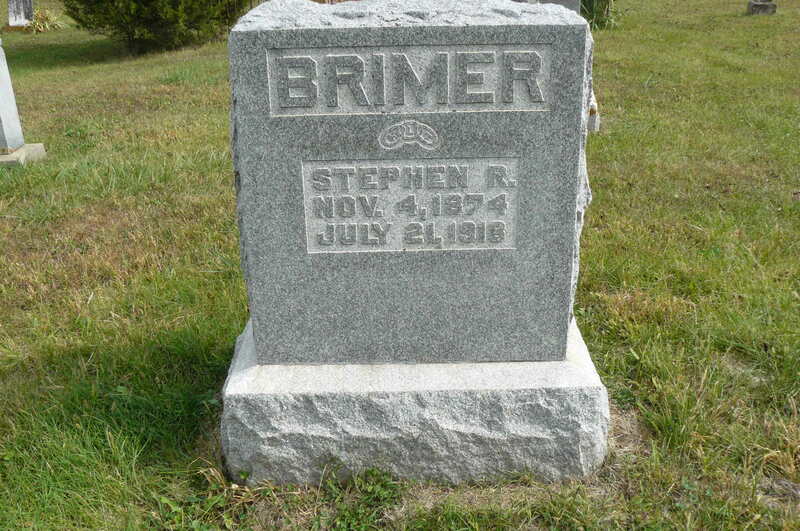 1893 Jan 26: Father, John Stewart Brimer died. Buried at Old Grassy Creek Cemetery, Buffalo Township, Pike County, MO. 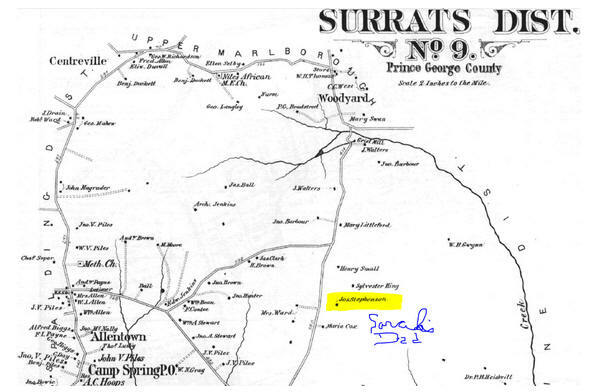 1893 August 30: Mother, Susan Sparks Brimer granted a Home Guard war widow's pension. Click HERE to find a great deal of information on Samuel Poston Inlow. 1897 July 14: Son, Paul Tinsley Brimer born in Bowling Green, MO. He will marry Abbie Darlene Daniels on 18 Feb 1920 in Pike County, MO and then Ethelyn Lenore Keagle on 13 Oct 1946 in Austin, Minnestoa.. Paul will live till June 6 1965 when he dies in Mountain Home, Arkansas. 1903 Sept 17: Floyd Inlow Brimer born in Missouri. He will marry an Elizabeth M. (Last name unknown). Floyd will pass away on 27 Dec 1991 in Cedar Rapids, Iowa. He moved to Iowa with his mother ultimately after his father was killed. Floyd worked as a service manager for the S&W Cafeteria in 1934 in Cedar Rapids, Iowa and lived at 2330 C Avenue, NE. 1905 Nov 14: Willis Pinkney Brimer is born in Missouri. Willis will die in January 1961 per the SSDI in Nebraska. 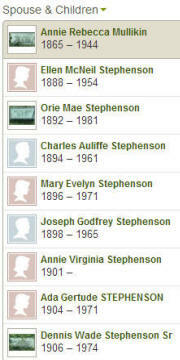 He will marry Gertrude Irene Shaefer on 3 July 1925. 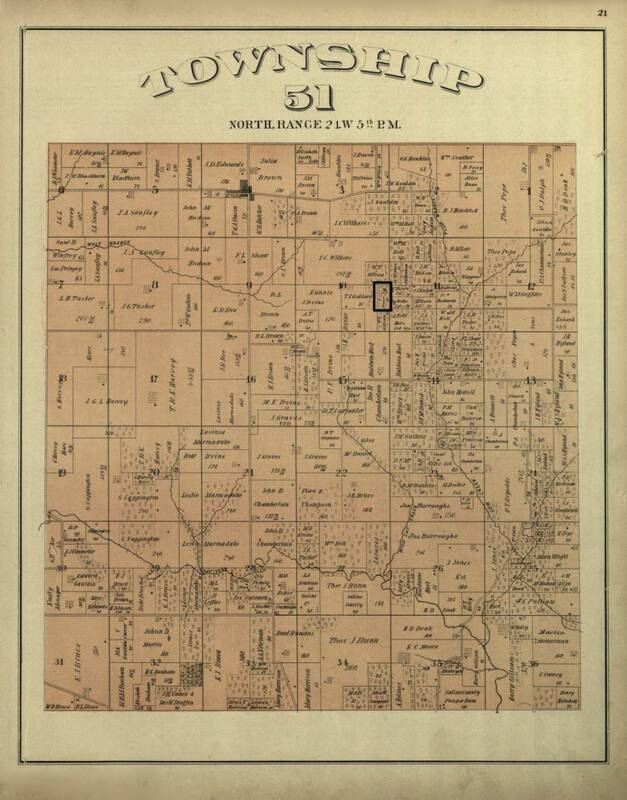 In 1928 he and Irene lived in Waterloo, Black Hawk, Iowa. 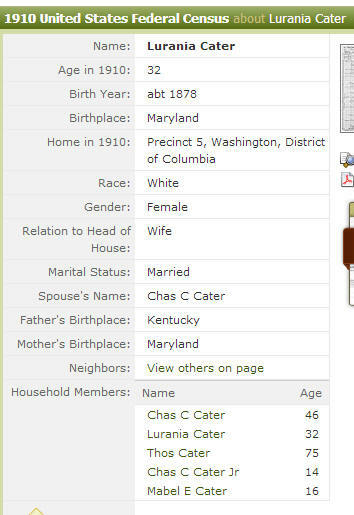 In 1931 they lived at 1302 Hawthorne Ave., Waterloo and he was a baker for Bishop Cafeteria. By 1937 they had moved to Nebraska and they lived at 4607 Grand Ave. in Omaha Nebraska and he was working as a baker at Dixon's Restaurant. 1909 Feb.: John Ray Brimer is born in Missouri. He moved to Iowa with his mother ultimately after his father was killed. He will marry a Muriel E. LNU in 1927 in Iowa. In 1934 in Cedar Rapids, Iowa he is a baker for Bishop's Cafeteria and lives at 857 20th SE. 1914 Oct. 5: Leon Brimer is born in Missouri. He moved to Iowa with his mother ultimately after his father was killed. In 1934 in Cedar Rapids, Iowa he lived at 528 First Avenue NW (Note: I believe he lived with his brother Willis Brimer here). He died in Bentonville, AR on the 4th of February in 2000. PROPERTY OWNERSHIP: This is the plat of the 20 acre property that the Stephen R. Brimer and his family owned and lived on when he died. The 20 acres is located in Saline County at the northeast corner of the southeast quarter of Section 10, Township 51N Range 21W and is shown as improved with a home. Nearest town is: Saline, Missouri (to the southwest). 1919 July 21: Stephen R. Brimer worked for a railroad at a roundhouse. He was struck by a train engine on this date and died of those injuries. Two days later, on July 23rd 1919, he was buried at Mount Pisgah Cemetery in MO. 1920 Census Main Street, Bowling Green MO taken January 8, 1920: Willa is a widow and head of household. Living with her are 22 year old son Paul; 16 year old Floyd, 14 year old Willis; 10 year old John R. and 5 year old Leon. Willa and Paul are both working as clerks in a grocery store. By 1924: Willa and her young children moved to Iowa following the death of her husband, Stephen R. Brimer. 1924 City Directory Cedar Rapids, Iowa: Willa living in Iowa at 713 S. 18th St in Cedar Rapids. 1925 Census Linn, Cedar Rapids, Iowa: Widow Willa was living there as head of household with their three sons, Floyd Inlow Brimer, John Ray Brimer, and Leon H Brimer, ages 21, 16, and 10 respectively. She owned a $6500 home with a $5000 mortgage on South 18th Street. Their home is insured for $6500. Willa completed the 8th grade, as did Floyd. Son John R., 10th grade. 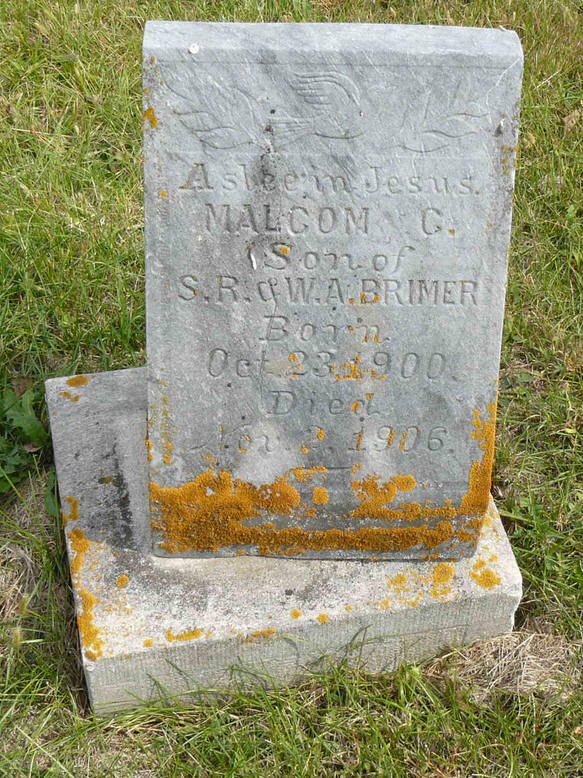 Following 1957: Willa Brimer died following 1957. No proof of when. Per the DAR she died in Cedar Rapids, Iowa.